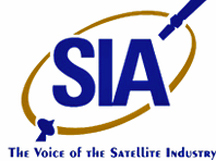 The Satellite Industry Association (SIA) is organizing a Congressional Satellite Industry Technology Demo and Exhibition, co-hosted by the Office of Rep. Derek Kilmer (WA-06). The press and the public are invited to join Members and Congressional staff to view the Exhibition in Rooms 2043, 2044 and 2045 of the Rayburn House Office Building on Tuesday, July 10th, at 11:30 a.m. ET to 3:30 p.m. ET. SIA Member Companies participating in the event include AGI, ExoAnalytic Solutions, Hawkeye 360, L3 Technologies, Lockheed Martin, Maxar Technologies, OneWeb, SES, Spire Global and Viasat, Inc.
Tom Stroup, President of SIA, said that satellites deliver communications, broadband, imaging and remote sensing data, television entertainment, navigation and GPS signals plus life-saving critical emergency response voice and data links. With a record number of satellites launching in 2017 and the recent space policy initiatives, SIA appreciates the recognition by lawmakers of the growth and importance of the commercial satellite industry, its increasing impact on the lives of Americans and the need for an orderly space environment. The SIA would like to thank congressional co-host Congressman Kilmer for the opportunity to showcase the satellite industry’s innovative, ubiquitous, highly reliable solutions to lawmakers and regulators on Capitol Hill.